Cork flooring is quickly becoming a growing trend in homes across the United States. Not only is Cork flooring an environmentally friendly choice, but it is also durable, an excellent insulator (sound & temperature), slip resistant and a softer, more comfortable alternative to traditional hardwood flooring. WECork manufactures one of the highest quality Cork floors on the market, and offers a huge variety of patterns --- making it easy for any homeowner to create his or her own style using Cork flooring. Among the Cork flooring collections from WECork, you will find 12" x 12" square tiles, which can be direct glued down to the subfloor. Also offered is a floating plank collection --- Avant Garde, with a click together tongue and groove for easy, glueless installation. Both collections have been approved by WECork for installation over radiant heat. WeCork's newest collection --- the Serenity Collection --- is finished with a patented Hot Coating. Hot Coating uses state of the art resin technology that is applied at extreme high temperatures. This oil-like, satin luster finish has excellent tabor abrasion and chemical resistance. Serenity has an AC5 rating and carries a full 10 year commercial and 25 year residential warranty. 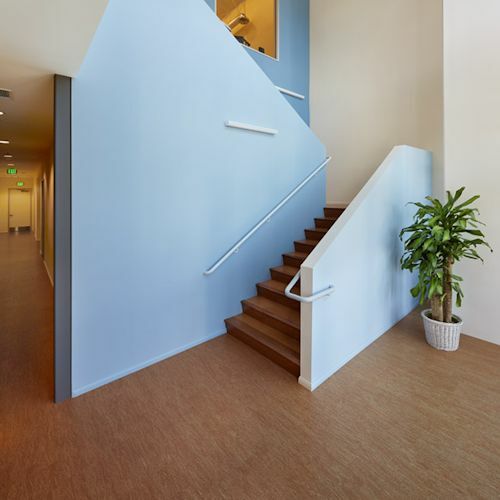 With WeCork floating cork flooring, they recommend an expansion joint after a span of 30'. WE Cork Floating Floors are a system of cork panels which can be installed virtually anywhere without any of the intensive labor required to install other types of flooring types. Tough enough to stand up to even the heaviest of foot traffic, WE Cork Floating Floors require little maintenance and will last for years. Perfect for both residential and commercial settings. 20 Year Residential Finish Warranty & 5 Year Light Commercial Warranty. WE Cork floating cork floors have been approved by WECork to be installed over radiant heat. 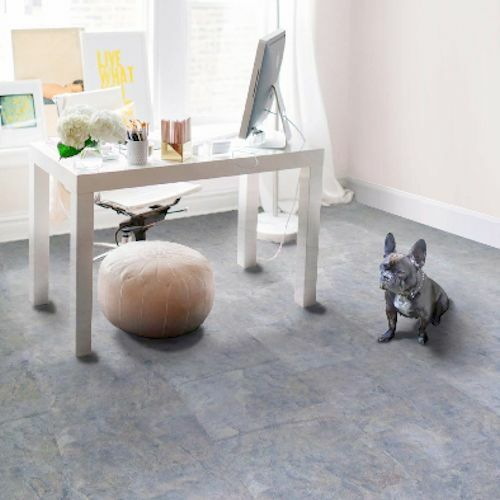 Introducing the Serenity Collection from We-Cork Cork Flooring. This is a collection of cork flooring which offers popular hardwood and tile visuals finely printed on cork planks. Get all the benefits of a cork floor while at the same time paying attention to style.